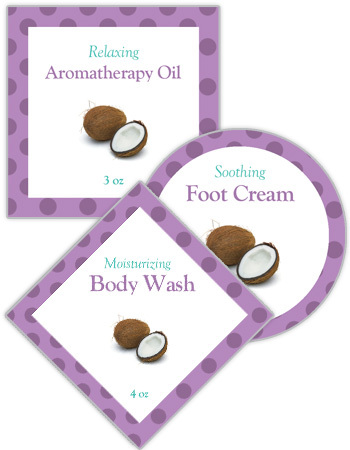 Creating your own bath and body labels is easy. 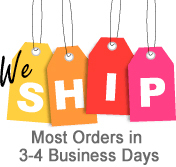 Simply pick any custom label you see on our site and make it into your own. The labels and tags you see on our site are just to give you ideas. 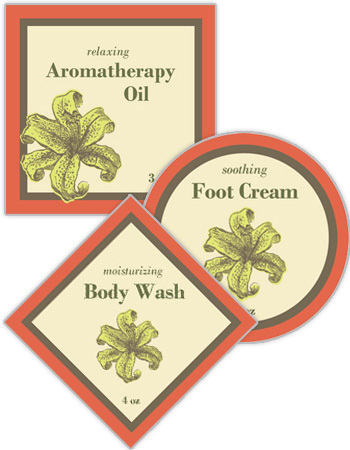 When you customize any skincare labels, homemade soap labels, shampoo labels or other bath and body product labels you can make it uniquely your own by changing colors, fonts, sizes, shapes. You can even upload your own picture of your product. Many of our customers use our labels to add to their homemade products and then sell them for a profit. 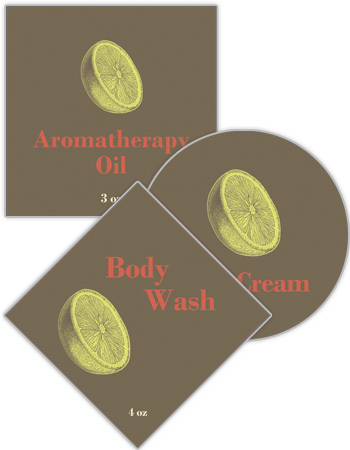 We carry a wide variety of aromatherapy labels and tags, skin care labels, custom soap labels, bath labels as well as lotion labels. 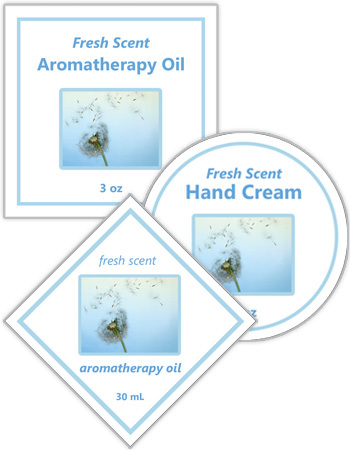 If you make scented oils, you can customize labels with your specific scent and oil. 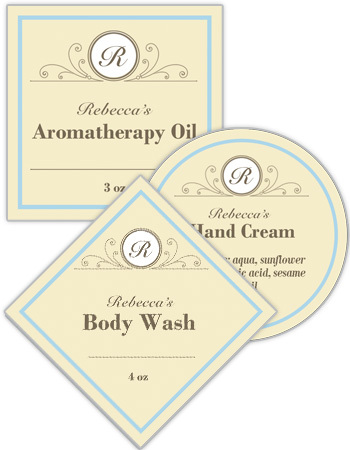 You can also use our bath and body labels to personalize favors for weddings, parties and other special events. 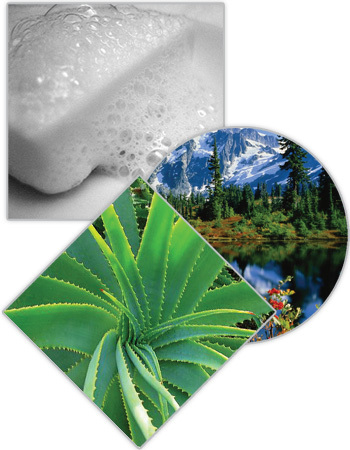 Whatever your homemade or retail product is, you can find a custom label on our site and personalize it. 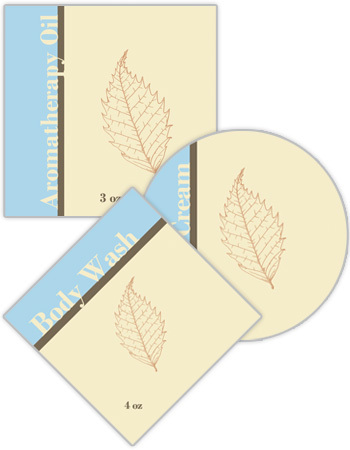 Many of our labels are sold in Spas across the country. 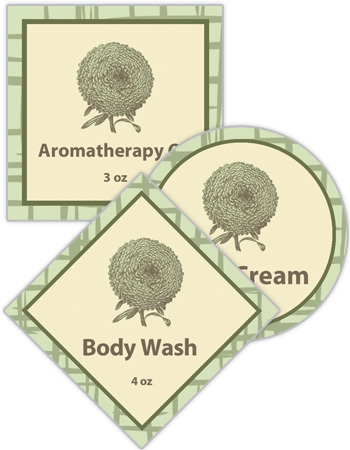 Even if you don't have your own Spa, you can create any bath salt label, soap label, lotion or cream label. If you make your own makeup, you can customize any label into a makeup label. 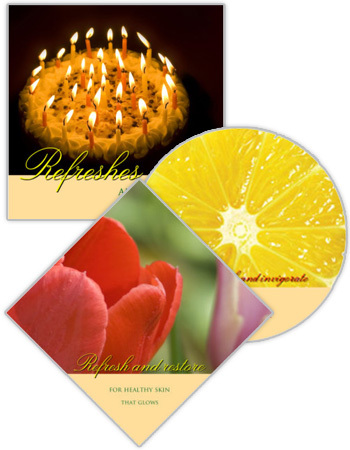 We also carry favor boxes that can be customized with your unique bath and body design. As with our labels, you can change the box colors to fit your needs. You can add text, change fonts and even upload your own product picture onto the box.